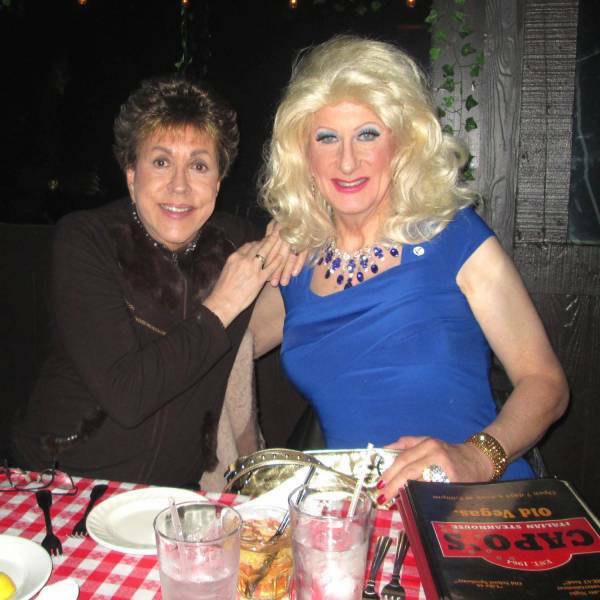 The Cuban Legend, David de Alba, made his name in the female impersonation world when he performed at the legendary San Francisco nightclub Finocchio’s. David is the last of the Finocchio’s stars to still be performing. Last month he did a show in Las Vegas, where he resides, and there was a video camera recording the performance as David did his David de Alba By Myself on a Lonely Stage, A Tribute to Judy Garland show. Here is a video from that performance. This is David (L) and TGF user Michelle the Tall at a Las Vegas dining spot. Awwwww David! You are so sweet! Can’t wait for the April show! « Is Your Profile Up To Date?